"Hold up," I told my friend as I stopped in my tracks and got out my phone. I was standing in front of an outdoor equipment store and saw this gorgeous ombre surfboard displayed out front. It had purple, blue, and mint. I took a pic of it. "Let me guess--for the blog?" my friend asked. "For my nails," I replied. But yeah, I decided to share it here on the blog. She was right. 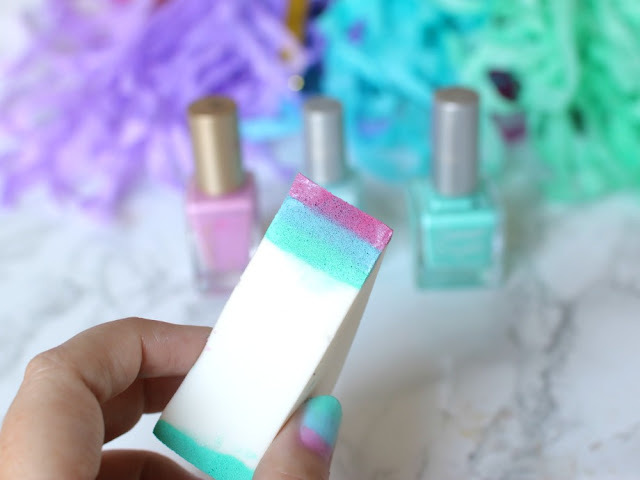 Anyway, I love a pretty pastel ombre and this one makes me think of the beginning of summer, and not sunset, like summer ombre nail designs usually are. Apply a white base coat and allow to dry. It's ok if it's streaky, since we are using this as a primer. Sometimes I'll use whatever the lightest color in my ombre is as my base coat. Completely optional, but I used a liquid latex around my fingers to help with the clean up later. 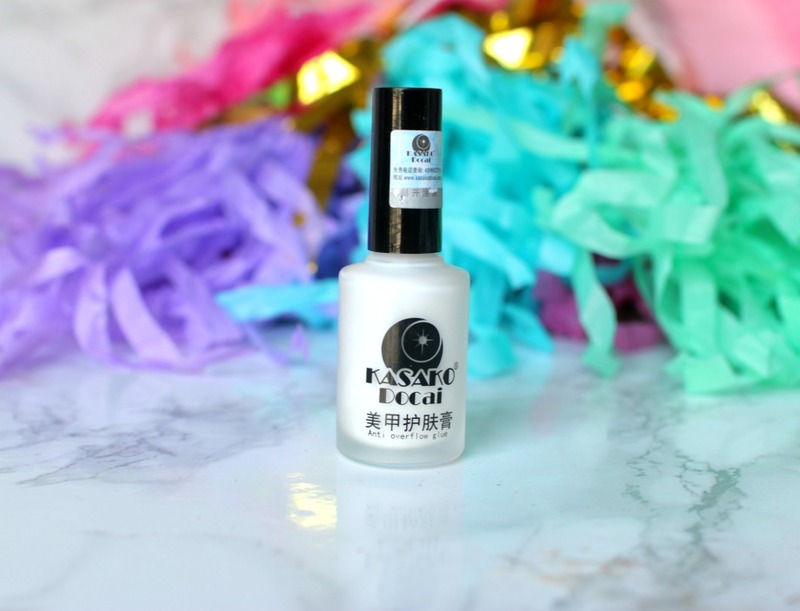 I got this one from BornPrettyStore, but eyelash glue or a glue base coat (NYC beauty has a cheap one) will work as well. I usually have reactions to latex, but it's never bothered my fingers. Now, choose your polishes. I wanted to mimic the colors of the surfboard I saw, so I chose a lilac, a baby blue, and a soft mint. Leave the caps unscrewed as you do the next step. Grab a clean makeup sponge. I like to dampen mine to prevent the polish from absorbing so quickly into the sponge, but that's up to you. Paint stripes of each color, as pictured above. Make sure the stripes aren't too big or it won't work on your nail. Then press and dab onto your nail. You might need to add more polish to your sponge after each nail; it depends on the brand of polish. Wait about a minute after your whole hand is done and then repeat with the sponge. You can repeat that step again if needed, to build up the intensity of the ombre. If you used the liquid latex, be sure to peel that off and use polish remover to clean up around the edges as needed. Once you're satisfied with your design, allow to dry and then use a top coat. 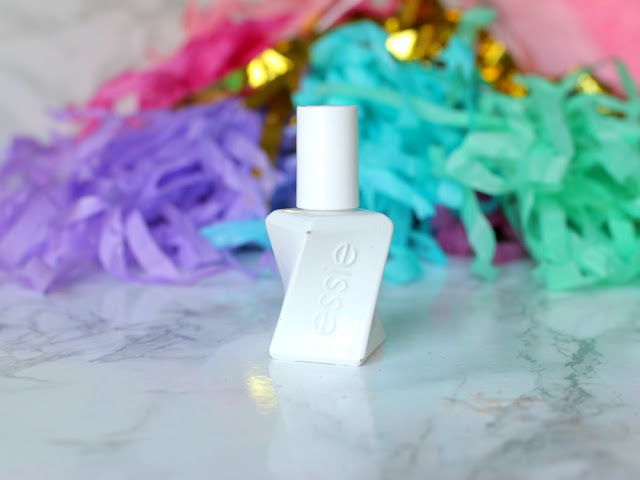 I'm obsessed with this new one from Essie. The top coat kind of blurs the colors. And that's it! Have you tried ombre nails before? Saw the movie Love and Mercy, about Beach Boys singer Brian Wilson. A must if you're a BB fan. I did a guest post for Coach Daddy on beauty, if you'd like to see. Want more nail tutorials? Here are 10 nail tutorials to check out. I love that you got inspiration from a surfboard. So fun! 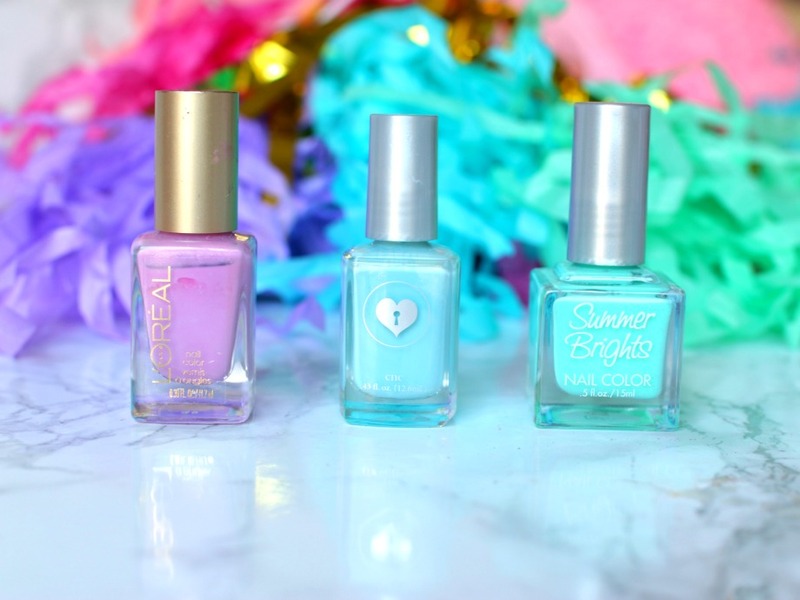 Your nails are so awesome and perfect for summer! 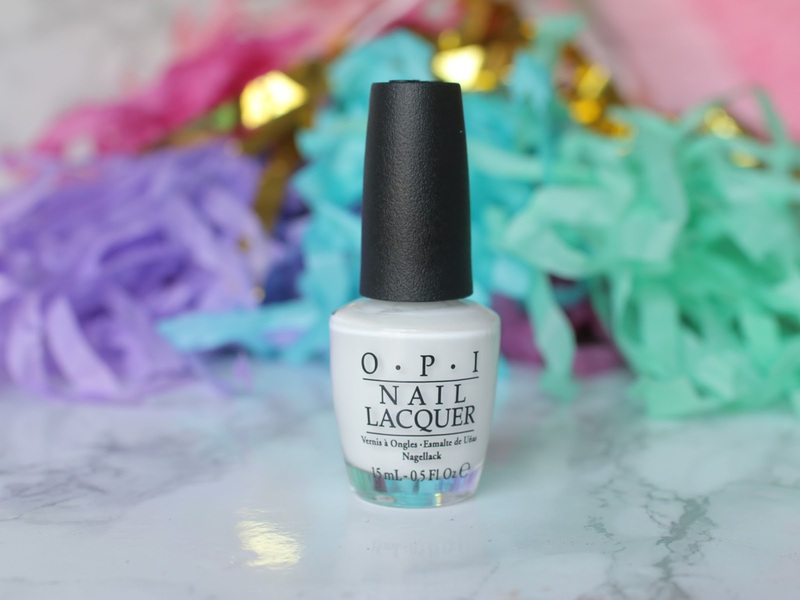 Finding nail art inso in an outdoor shop - a true beauty blogger! Your nails are so pretty! Love the fun summer colors! Your nails are so pretty! Love this cool effect. Thanks for sharing Elle! Ombre nails are so much fun to wear! Love the colors you chose! How cute do your nails look?! I love the colors you picked and so fun that the inspiration came from a surfboard! Great idea to use the makeup sponge! I love the colours you used! I did ombre nails last Summer, will definitely do them again. Love this look and those colors are so pretty and fun for summer! When I saw this on your Insta I fell in love! 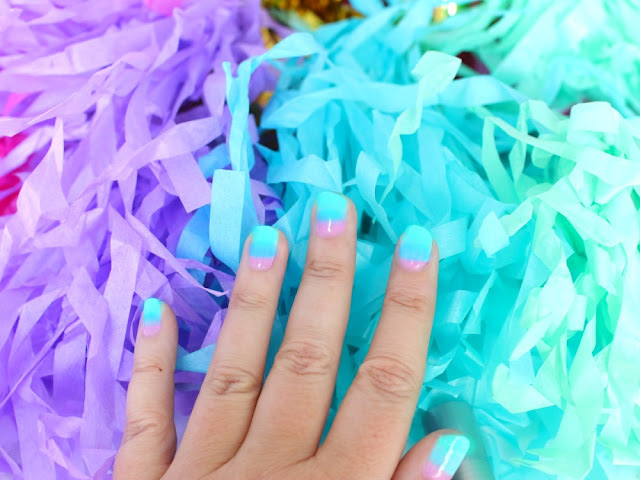 This is so fun and different, not to mention the colors are SO good for summer! WHAT? That is so beautiful! So do you have to paint on the color on the sponge for every finger? Whoa, whoa, whoa! You just blew my mind twice with this one... where has this liquid latex hack been all my life? I'm like the queen of sloppy at home manicures which I have to pick off in the shower and destroy my cuticles in the process. And I never would have guessed how simple the ombre application is with the makeup sponge. It turned out SO stinking cute!! I saw that top coat on amazon last night and I was super intrigued. I was actually going to tweet at you to see if you had tried it yet! Now I have my answer. I've been using the sally hansen gel top coat as my top coat over any colors, but I have always liked the quality essie produces more. Oh gosh, I used to do this but barely have time for it now! It's so freaking pretty, Elle! Well how pretty + fun did this turn out?! Love it! Your nails look so pretty! 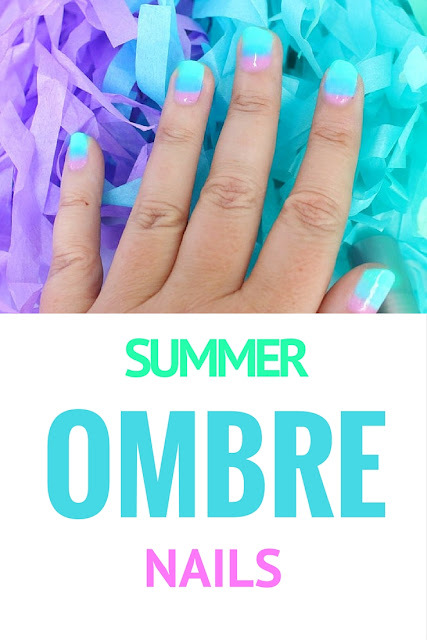 I never would have thought to do ombre nails period, but this looks so easy that even I could do it! Is that pink L'Oreal Butterfly kisses? (; It's my favorite toe color ever! This seems like nice, low maintenance nail art! Love the color combo. I so need to do my nails. They have been naked for a few months now. This turned out so pretty Elle, I love these colors and the ombre look! I think even I could do this one! This is so pretty!! I love the colors, those are my favorites for my nails! Love at first sight! Those nails are darling and I love the bright colors! I love this idea so much!! It's so fun that you can find inspiration anywhere! Love these nails . . . but I'm thinking you make it look to easy! Ha! I may have to try this for summer . . . my daughter would love it! You make it look super easy, but that takes some skills! I love the mix of colors - great job Elle! I love how you got the inspiration for these nails. The color combo is so eye catching. I love it. I haven't tried ombre nails, but I'm loving it on you! I love the colors you used! This looks so adorable! I love the bright colors you used! Thanks for the guest post, Elle! I've never tried much in terms of nail art, I'm a bit clumsy so just painting my nails is already an effort, lol! I did try stamping a while back but it didn't work too well for me. Oh my gosh this is so pretty! Love where you found the inspiration for this! Okay, hold up! Wow, you use a sponge to do it.. That is really clever! !